Primary 2 as part of their Scotland topic have been learning about Famous Scottish artist Steven Brown. 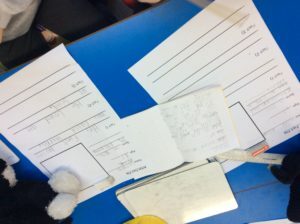 To learn about Steven Brown primary 2 listened to a PowerPoint and took notes in their jotters. They used the notes they took to make fact files about Steven Brown. 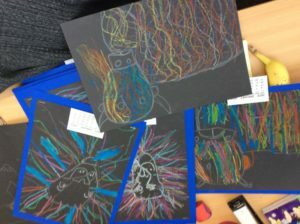 Then using Steven Brown’s art as inspiration Primary 2 made there very own pictures using oil pastels.